The airline rejigged its catering set-up before it was bought by IAG. AER LINGUS HAS been told to pay €14,000 to two former catering staff members who claimed they were left “in limbo” after being removed from their roles over five years ago. The Labour Court recently recommended in two separate decisions that the airline pay €7,000 each to the two workers for causing them “great distress” following the 2013 restructuring of the carrier’s catering unit. The move took place two years before Aer Lingus was acquired by Spanish group IAG in 2015. According to the anonymised decisions published by the industrial relations body, the workers’ roles were made redundant in August 2013 following Aer Lingus’s review of its food department. One of the staff members, who had worked as a manager in flight sales within the catering department, said she was made aware of the changes while on holiday in Portugal and told the Labour Court “the news came out of the blue, without notice or consultation”. Both workers were invited to attend meetings with the company’s HR business partner and director of change and engagement where they were told the rationale for the restructuring exercise. The workers each disputed the reasoning and initiated formal grievance processes. In September 2013, the former flight sales manager was temporarily appointed as an administrative assistant at Aer Lingus’s training academy. She remained in that role until November 2016 when she was told she could be made redundant again because a colleague was returning from maternity leave. The woman raised an objection with management over her temporary status. The employer “accepted that there was a misunderstanding” and in December of that year made her position permanent. While the employee’s remuneration and terms and conditions of employment had been preserved, “her title and duties have changed and she no longer holds the title ‘manager’”, the Labour Court noted. The other worker had previously served as manager of catering operations at Aer Lingus. Following the catering department restructure, he was redeployed as cash office manager on a temporary basis from September 2013 to October 2016, when he was told he was at risk of redundancy because the airline was introducing new cash machines. Similarly to his colleague, he objected and was then made permanent in December of that year. 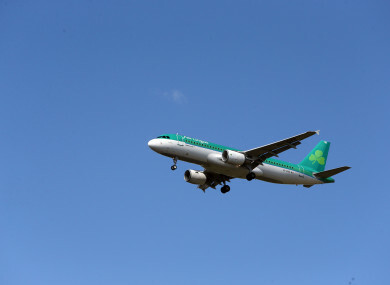 In their complaints to the Labour Court, the workers claimed that Aer Lingus had “repeatedly failed” to address their concerns and accused the airline of leaving them “in limbo”. Both wanted to be restored to their original roles. The airline disputed the employees’ arguments. It told the court it gave them the option of taking a voluntary severance package or opting to be placed in a resource pool for employees displaced due to changes in business. It said the resource pool provides “an intensified search for an alternative permanent role” as well as training and other supports. Aer Lingus also ‘red-circled’, or froze, the workers’ remuneration and terms and conditions of employment. The court said that it was satisfied there was a genuine reason to make the workers redundant and that the airline was within its rights to restructure the catering department and eliminate certain roles. However, it criticised Aer Lingus’s approach to dealing with the complainants. It described the company’s redundancy notification and consultation process as “wholly inadequate and unsatisfactory in the circumstances”. It said the airline had caused “great distress” to the workers and recommended that the company pay each of them €7,000 in compensation. Commenting on redundancy law in general, Katie Ridge, head of employer relations at Adare Human Resource Management, said “it is advisable that an at-risk-of-redundancy meeting should take place with the relevant employee where notification and/or consultation should take place before the decision is made”. The Labour Court decisions come a month after outgoing Aer Lingus boss Stephen Kavanagh issued an apology following the publication of a Sunday Independent article stating that “many millions of euro” was lost by the airline due to missing stock. The article – which was based on an internal memo and suggested workers were accused of taking the stock – stated that Aer Lingus was rolling out CCTV cameras in Dublin Airport and hiring private security to carry out random patrols of staff areas. After publication of the front-page story, members of the airline’s senior management met with staff and Kavanagh apologised for the “hurt and upset” caused to staff by the article, which he claimed was “misleading”. Email “Aer Lingus was told to pay thousands to workers 'in limbo' after a restructuring of its food unit”. Feedback on “Aer Lingus was told to pay thousands to workers 'in limbo' after a restructuring of its food unit”.